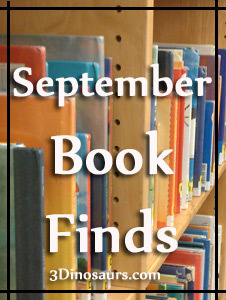 Each month we love looking for new picture books. Picture books are great for all ages. They can teach so many things. 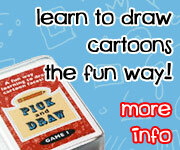 We have never limited picture books to just preschool and kindergarten. I encourage my girls to read whatever they want to read. This months book are a collection we picked out at the library. Each of us picked one book that was our favorite. We always have fun reading and enjoying the books! As always each month I share the book there are links to Amazon so you can check out more about the books. All sales on Amazon help 3 Dinosaurs keep loads of stuff free. Boo Who? is a book about a shy ghost who can’t play some of the same games. It love how the other characters workout how to play with Boo. All the Animals Where I Live is about someone who lived in a city and move to the country. You take a tour of his surroundings. I love how you see the many different animals there throug the different seasons. Lines is a fun wordless book about lines and how they are used. I love looking through this book with the small different lines. I love that they start small and get big and you see the story progress and I love the ending. Mixed: A Colorful Story is about three colors red, yellow and blue. They each had were special in their own way. But one day reds said they were the best and all seperated from each other. But a blue and yellow became friends and mixed a new color green. It fun story about color mixing and getting along when you are different. Tool School is a great story for those little builders. It is about how when the tools cooperate they can create something better. I love learning about the tools and how they could make something together. Plus the end of the book has some great safty tips. Monster Boogie is a fun to read book about a scary monster at bedtime and doing the monster boogie! I love how singing and dancing make the scary monster not so scary anymore. This is a book we had fun reading and dancing to. I Feel Teal is a book about feelings shown in color. It has so many different emotions that it shows. It also shows that all those feelings and colors make up who you are. Did you find any good books this month? This entry was posted in reading and books and tagged animals, bedtime, book finds, color, color mixing., cooperation, fear, feelings, friends, monsters, tools, wordless books. Bookmark the permalink.